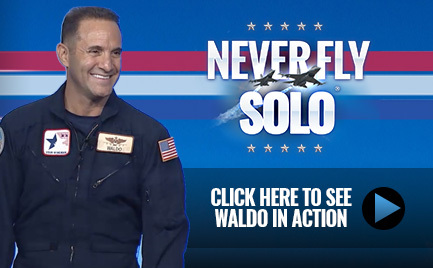 Your approach combined the panache of a fighter pilot, the knowledge of a business commentator, the focus of an executive consultant, and the wisdom of a sage. You were engaging without being flippant, you were motivating without being 'over the top,' and you were highly prepared without being canned. 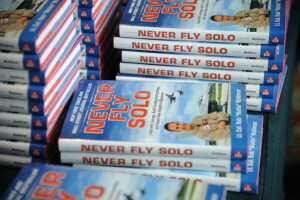 No fighter pilot flies a combat mission solo and neither should you! In business and life, you survive solo, but win as a team. Wingmen are those men and women who help accomplish the mission and win when challenges arise. The trusting and collaborative relationships you build with your wingmen are critical to success in life. The 6-O’clock position in fighter combat is behind you — your most vulnerable position and the most difficult to cross check. Fighter pilots use their wingmen to cross check these positions and call out maneuvers to help defend against threats and build Situational Awareness (SA). In business and life, you need wingmen to ‘check your 6′ and support you when you are engaged in activities that channelize your attention and cause task overload. It also improves communication across all entities of an organization. When you work as a team and back each other up, you can avoid and anticipate the missiles of change, adapt to challenges, and innovate more quickly. Training and Preparation are Critical to WIN! You aren’t in business to survive. You’re in it to win. Winning (while maintaining your professional values) requires serious effort and the consistent application of disciplined training, detailed preparation, and passionate leadership. In addition, by briefing and de-briefing your missions with your team, you can help your organization adapt to its constantly changing environment and continually update its training program. In sales, it is all about confidence and adapting to your environment. The winning leader and salesperson is 100% prepared for each mission. When fighter pilot prepare, we ‘chair fly’ – We contingency plan and mentally rehearse every detail of the mission until it is perfect. 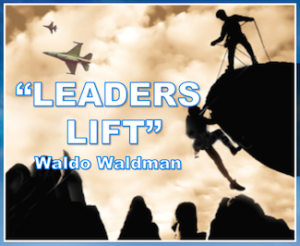 By chair flying your sales and business missions an, you can plan for contingencies and ultimately build confidence in yourself, your team, and eventually win. Relationships are fundamental to successful business transactions. The key to building and sustaining them is mutual trust. Connecting with people and developing a reputation as a trusted resource is one of the most important traits you can have in business. When you combine trusting relationships with a product or service that truly provides value, you win in business…and life!